I spent the weekend in the Seattle area visiting friends. 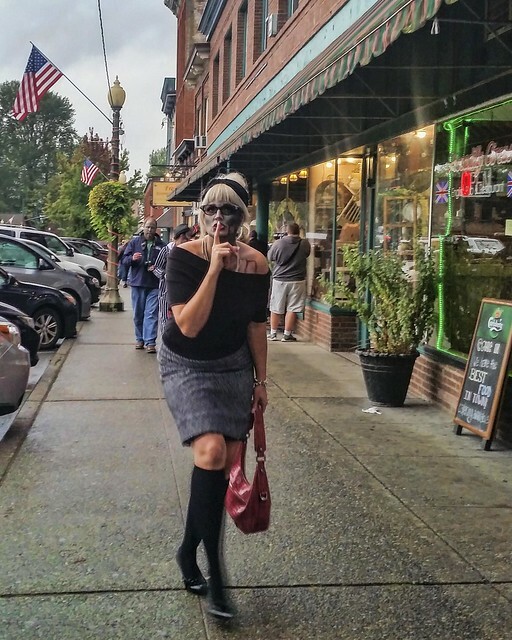 Today we were in the city of Snohomish hanging out, enjoying the shops when we encountered the Zombie Walk. 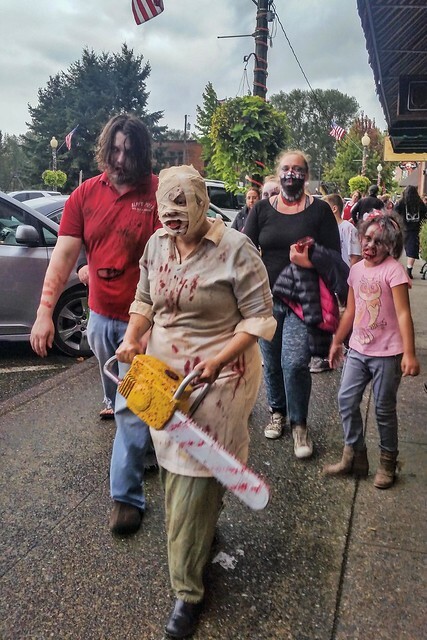 According to the Snohomish Facebook page, they invited all zombies and ghouls to downtown Snohomish for a friendly (or not) visit. 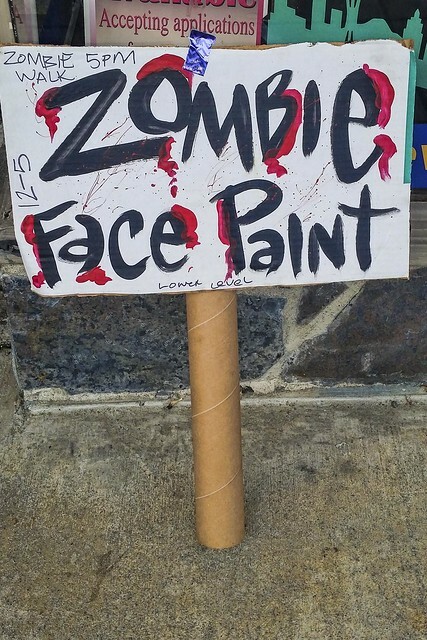 In preparation for the impending Zombie-Apocalypse, they asked all participants and spectators to bring "rations for the survivors" (to benefit the Snohomish Food Bank). 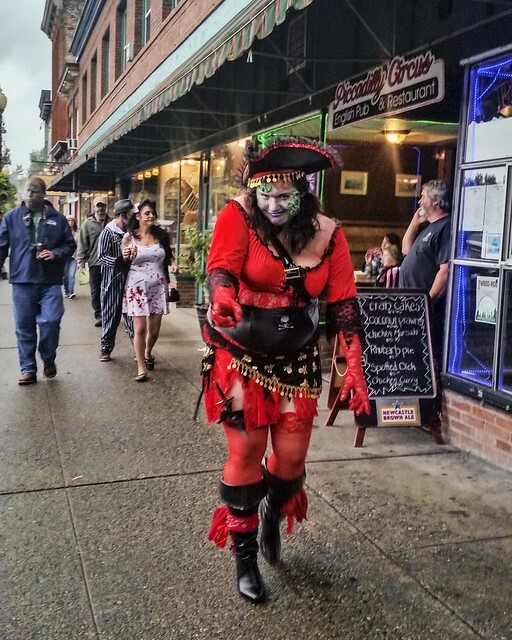 I have to say, it was a little scary watching everyone walk up the main street. They were truly freaky looking. "I like my zombies slow and I like my zombies stupid." Truly....and to tell the truth, it was kinda scary. Some of the people really got into it!